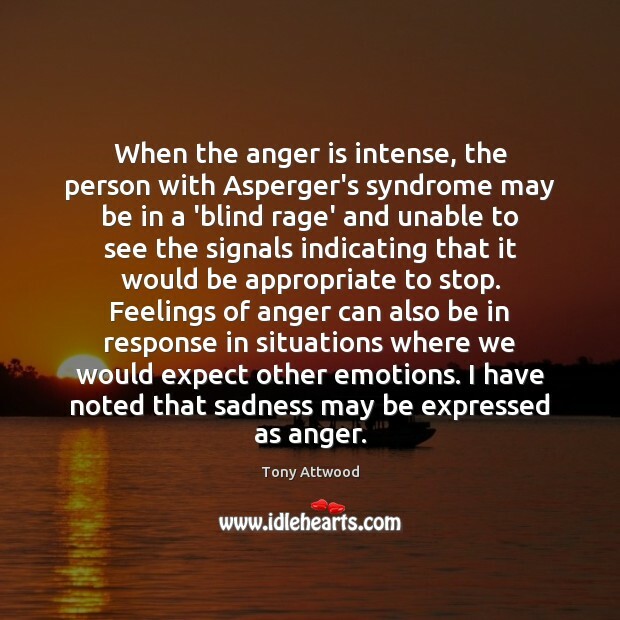 Quotations about Asperger's Syndrome. Quotes to stimulate mind and drive action! Use the words and quote images to feed your brain inspiring things daily! The first expert said he had attention deficit disorder. The second expert said the first was out of order. One said he was autistic, another that he was artistic. 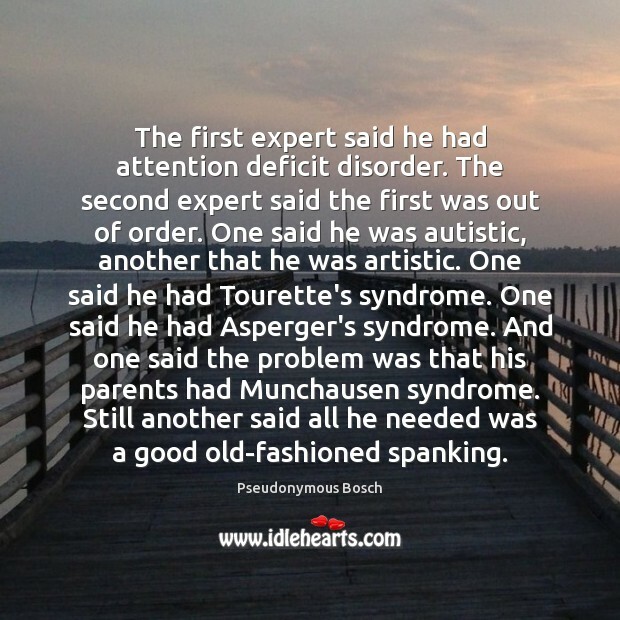 One said he had Tourette's syndrome. One said he had Asperger's syndrome. And one said the problem was that his parents had Munchausen syndrome. Still another said all he needed was a good old-fashioned spanking. 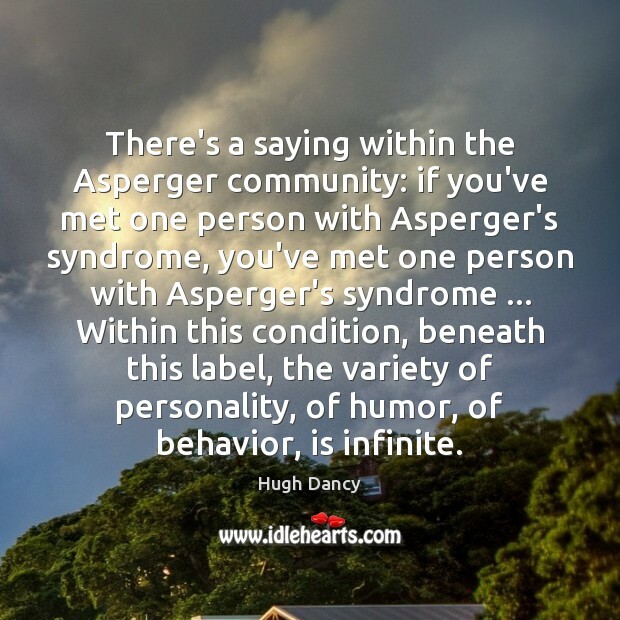 There's a saying within the Asperger community: if you've met one person with Asperger's syndrome, you've met one person with Asperger's syndrome ... Within this condition, beneath this label, the variety of personality, of humor, of behavior, is infinite. 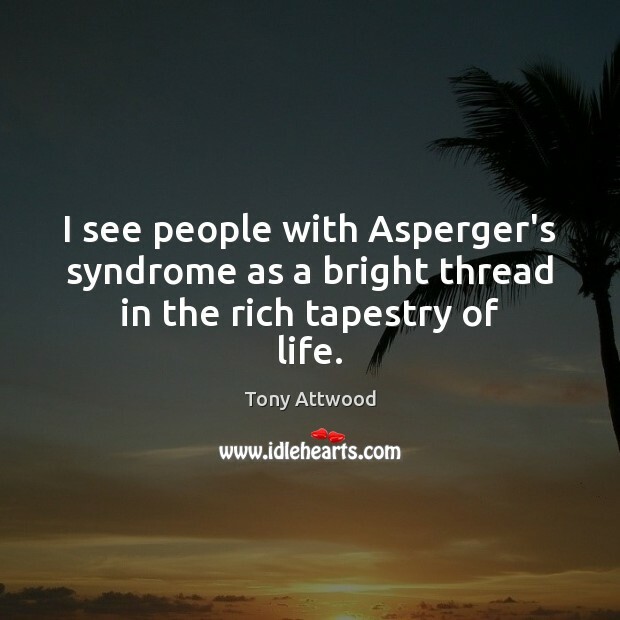 I see people with Asperger's syndrome as a bright thread in the rich tapestry of life. 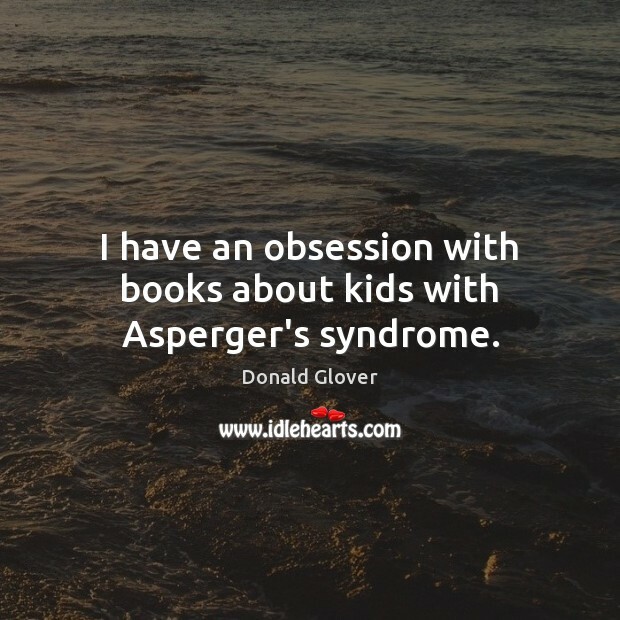 I have an obsession with books about kids with Asperger's syndrome. 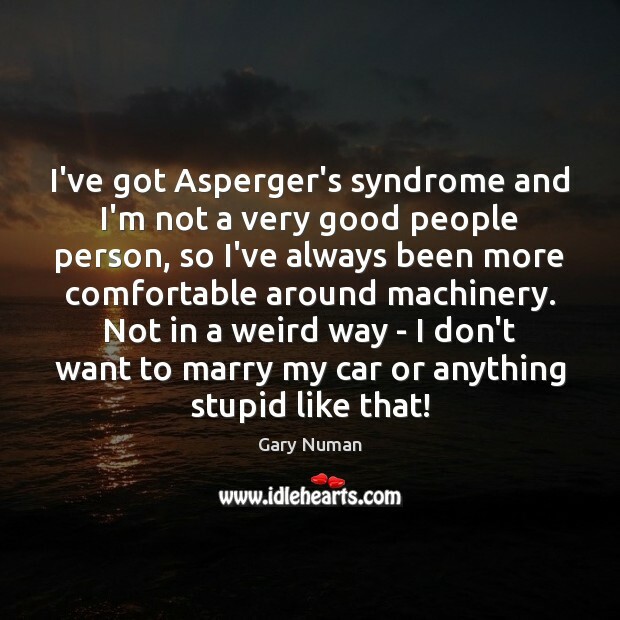 I've got Asperger's syndrome and I'm not a very good people person, so I've always been more comfortable around machinery. Not in a weird way - I don't want to marry my car or anything stupid like that! My autism is a very mild form. 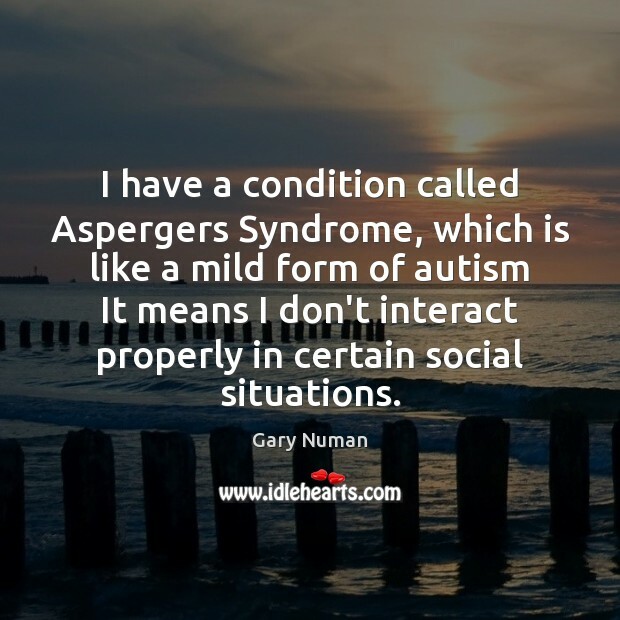 It was diagnosed at the age of 25, partly because it wasn't diagnosable as a teenager (this is Asperger's syndrome, specifically). 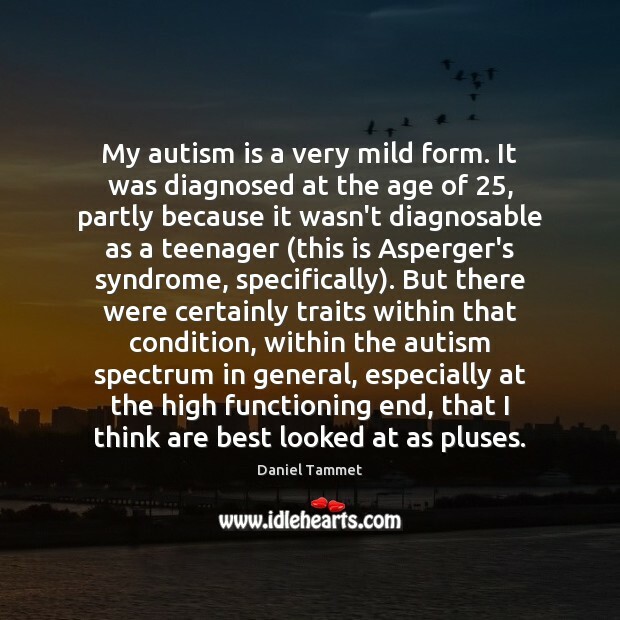 But there were certainly traits within that condition, within the autism spectrum in general, especially at the high functioning end, that I think are best looked at as pluses. 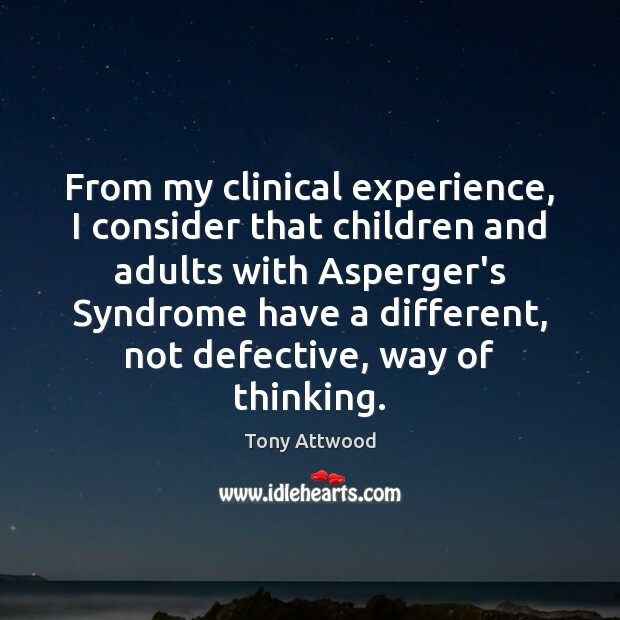 From my clinical experience, I consider that children and adults with Asperger's Syndrome have a different, not defective, way of thinking. 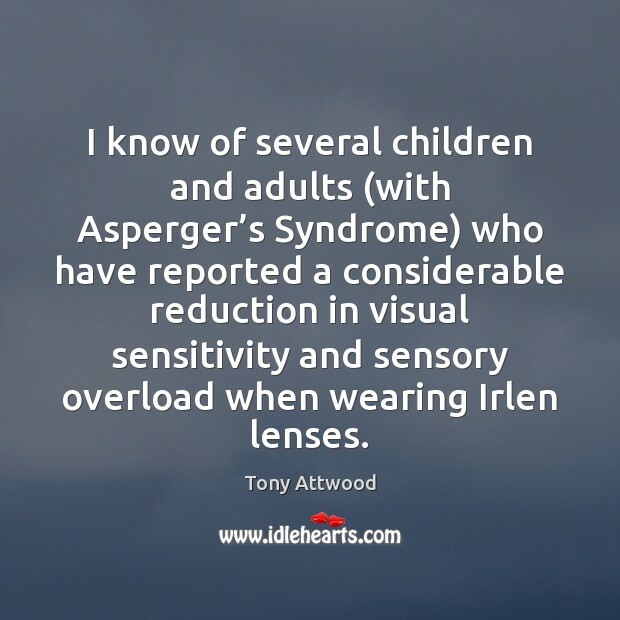 I know of several children and adults (with Asperger’s Syndrome) who have reported a considerable reduction in visual sensitivity and sensory overload when wearing Irlen lenses. Exploring Feelings for Young Children with High-Functioning Autism or Asperger's Disorder: The STAMP Treatment Manual offers practical recommendations and creative practices that will certainly help young children with high functioning autism or Asperger's syndrome overcome their struggles with the really tough issues blocking their positive growth and development. 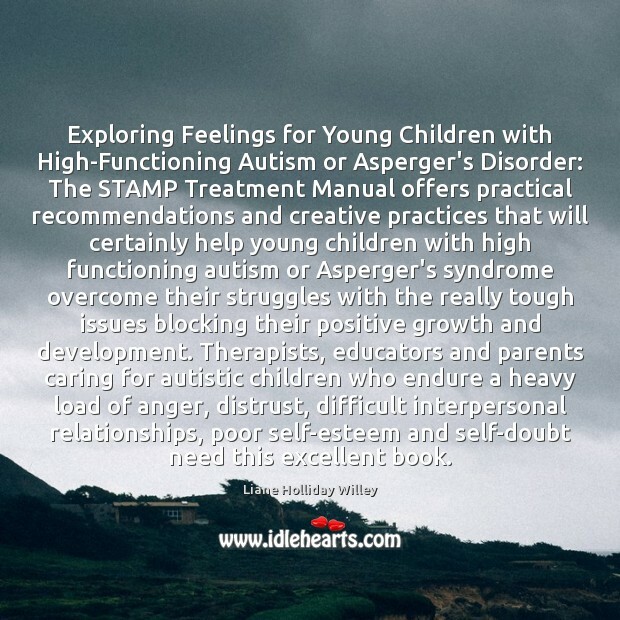 Therapists, educators and parents caring for autistic children who endure a heavy load of anger, distrust, difficult interpersonal relationships, poor self-esteem and self-doubt need this excellent book. 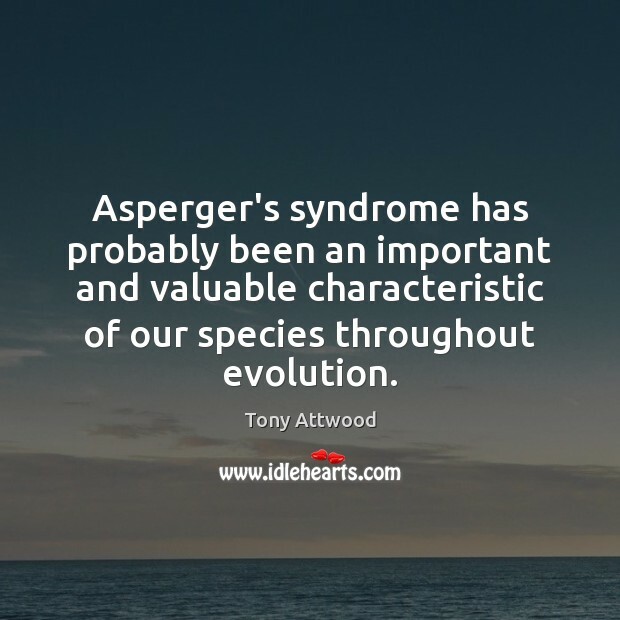 Asperger's syndrome has probably been an important and valuable characteristic of our species throughout evolution. Girls are generally recognized as superior mimics. 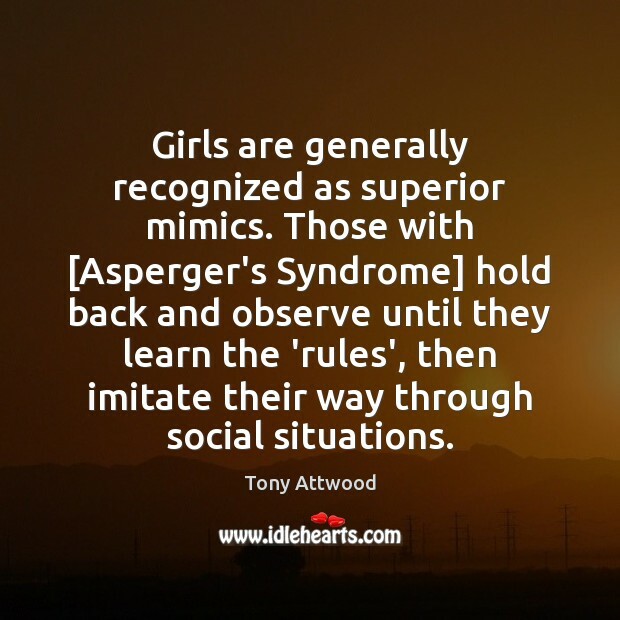 Those with [Asperger's Syndrome] hold back and observe until they learn the 'rules', then imitate their way through social situations. As the diagnosis of autism is increasing the diagnosis of mental retardation is decreasing. 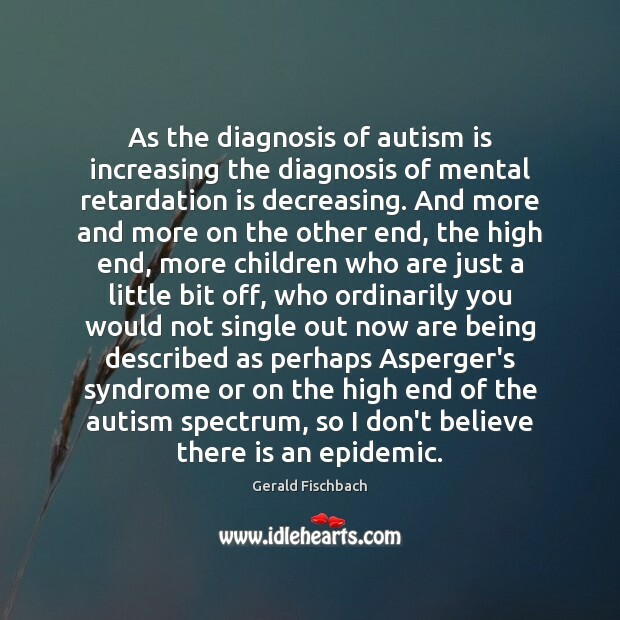 And more and more on the other end, the high end, more children who are just a little bit off, who ordinarily you would not single out now are being described as perhaps Asperger's syndrome or on the high end of the autism spectrum, so I don't believe there is an epidemic. There are many facts within fiction. This captivating story provides invaluable insights into the childhood of a girl who has Asperger’s syndrome. 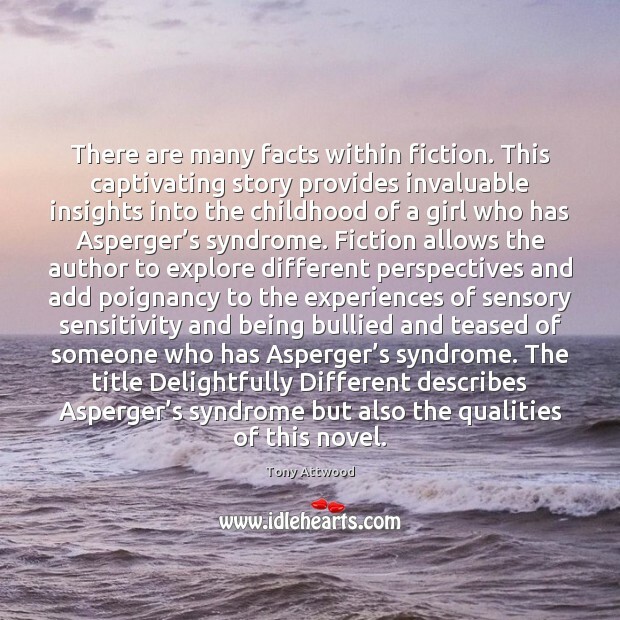 Fiction allows the author to explore different perspectives and add poignancy to the experiences of sensory sensitivity and being bullied and teased of someone who has Asperger’s syndrome. 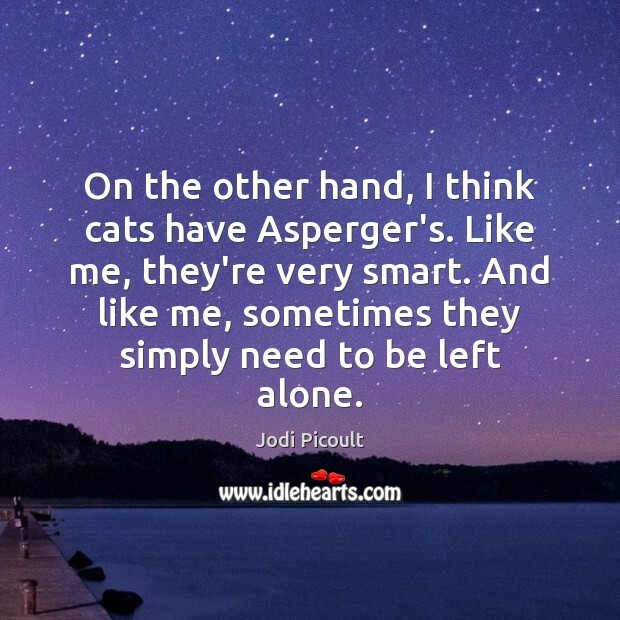 The title Delightfully Different describes Asperger’s syndrome but also the qualities of this novel. 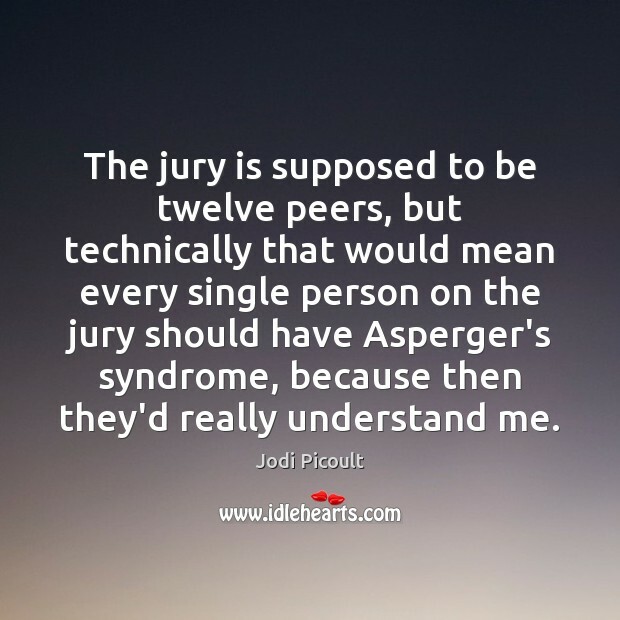 The jury is supposed to be twelve peers, but technically that would mean every single person on the jury should have Asperger's syndrome, because then they'd really understand me.